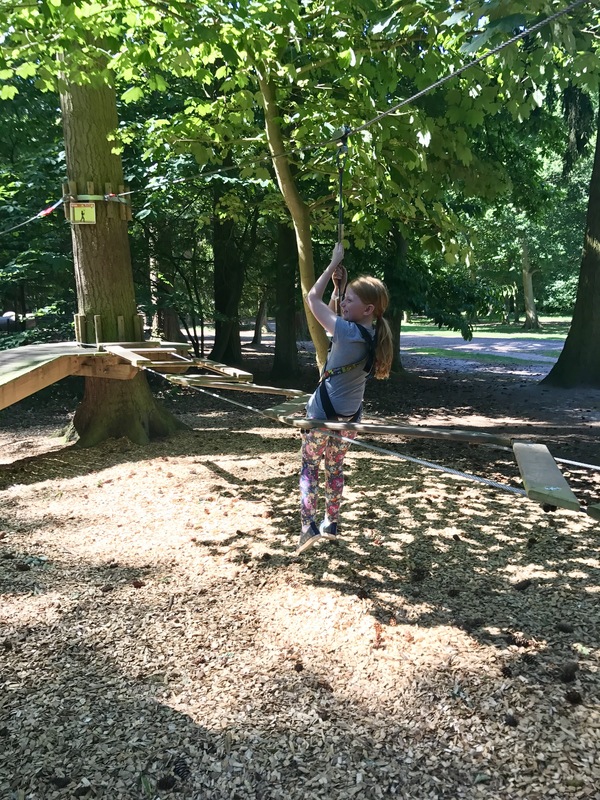 Go Ape Thetford – Tree Top Junior Review. 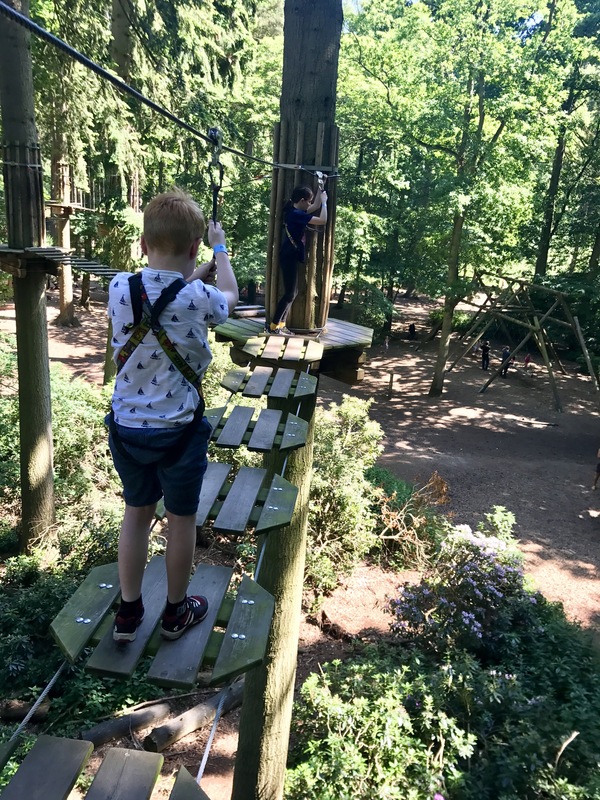 Go Ape at Thetford is described as the mother of all the courses and set within 50,000 acres of pine in the UK’s largest man made, lowland forest. A patchwork of pines, heathland and broadleaves provide the ideal setting for a great day out, and a welcome refuge for a rich variety of animal and plant life. The Go Ape adventure began at High Lodge Thetford back in 2002. 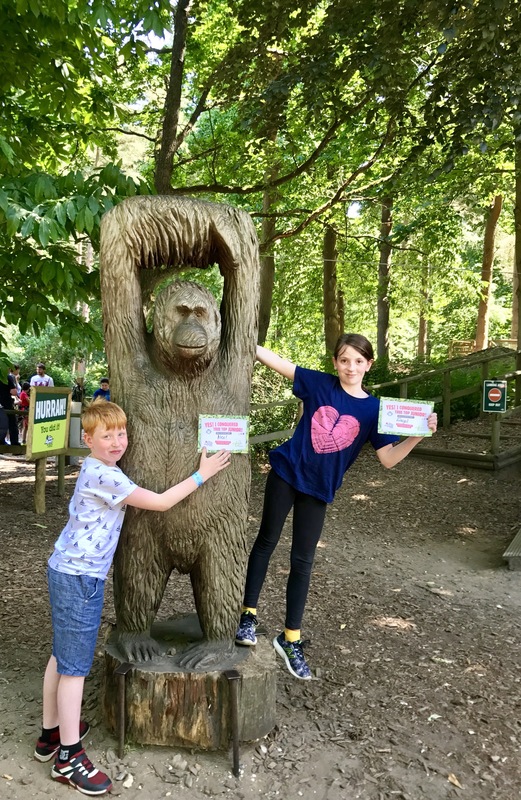 We are regular visitors at High Lodge and have always wanted to give Go Ape a try, so when recently invited to join them for a family adventure, we of course jumped at the chance. Our trip coincided with the arrival of the current heatwave, so we were really keen to head into the forest and the leafy shade of the tree tops. 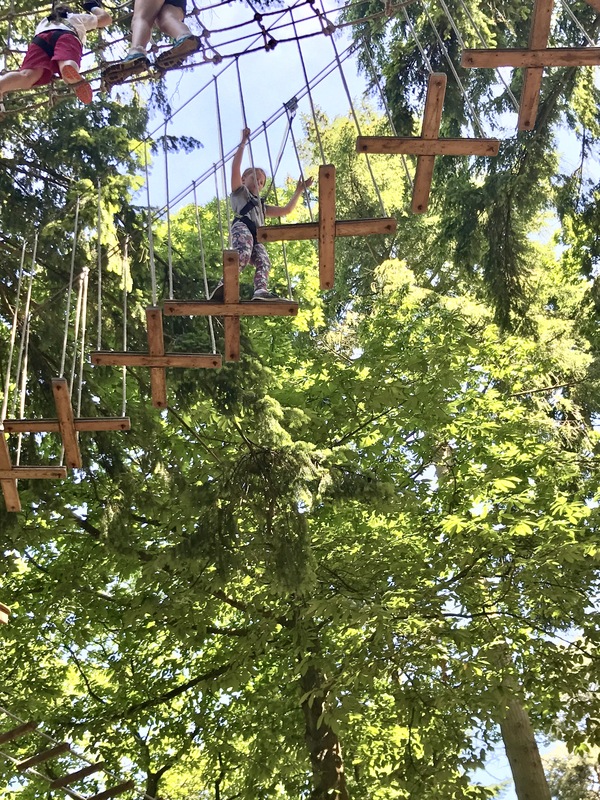 We opted for the tree top junior course so that we could all participate together, for a real family adventure. 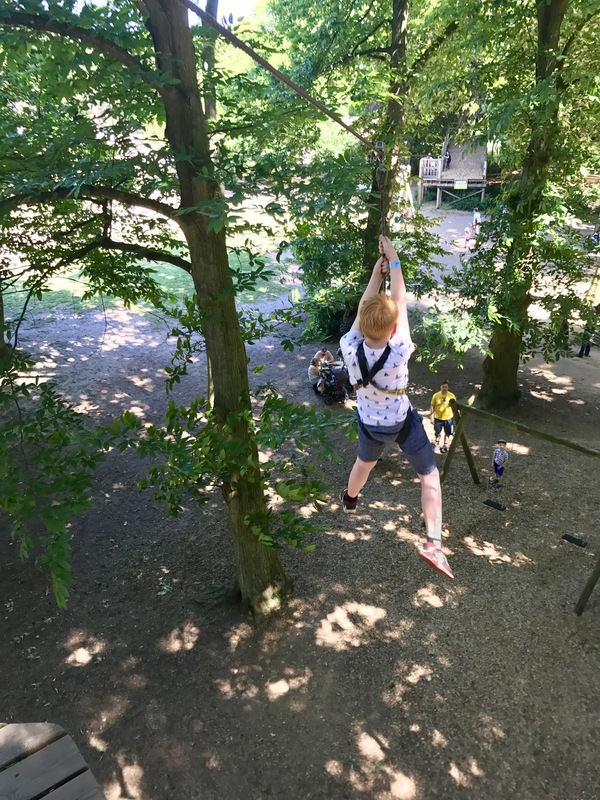 I had a few reservations that it might be a bit tame for the adults, but whilst the course is designed for children it’s quickly apparent that it’s also really good fun for adults too. Checking in for our session we were swiftly fitted into our harnesses and ready for our safety briefing. Having picked the kids up from a sleepover on the way, I did a bit of a mummy fail and forgot hair bands for the girls. Obviously with ropes involved these are crucial. The staff soon however stepped in with some spares. A small gesture, but it saved our trip from being a potential disaster. 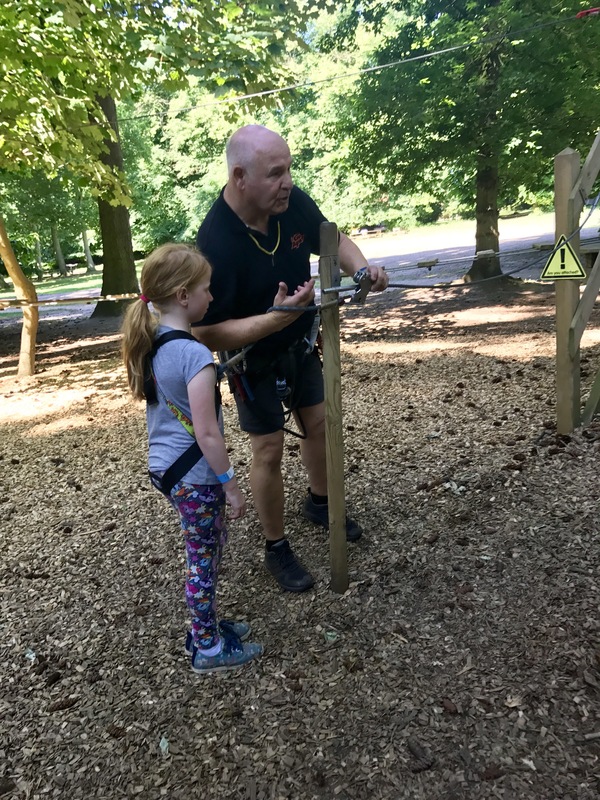 A thorough safety briefing followed, ensuring we could all participate safely and it also really helped to alleviate the concerns one of the children was having about the course. One of the features of the junior course is that you are secured to the course at all times, with no unclipping involved. This means children can feel more secure, and that confident, experienced children can be supervised from the ground. As part of the safety briefing one of the team was selected for the role of glamorous assistant. She especially enjoyed demonstrating ‘Falling off’, earning herself the nickname Soggy Teabag in the process. Fully briefed, we were ready to go. Check out the excitement on that face! With an hour to explore the course once your briefing has finished, you can participate as much or as little as you like. We managed two full loops and a sneaky extra zip. A cautious start as the team got used to the course and the safety system, but they were soon growing in confidence and flying off around the course. The course is 229m in length, with two loops of varying crossings and obstacles, between platforms. 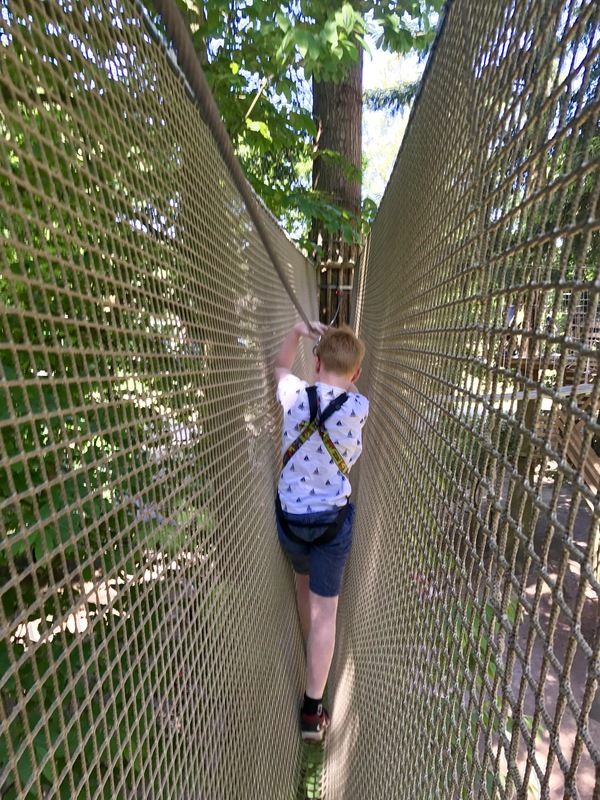 From spiders webs and stepping stones to the log balance at 8m above the ground, before the zip wire finale. Guide ropes on the first few crossings allow you to build your confidence and as you progress, the challenge builds. 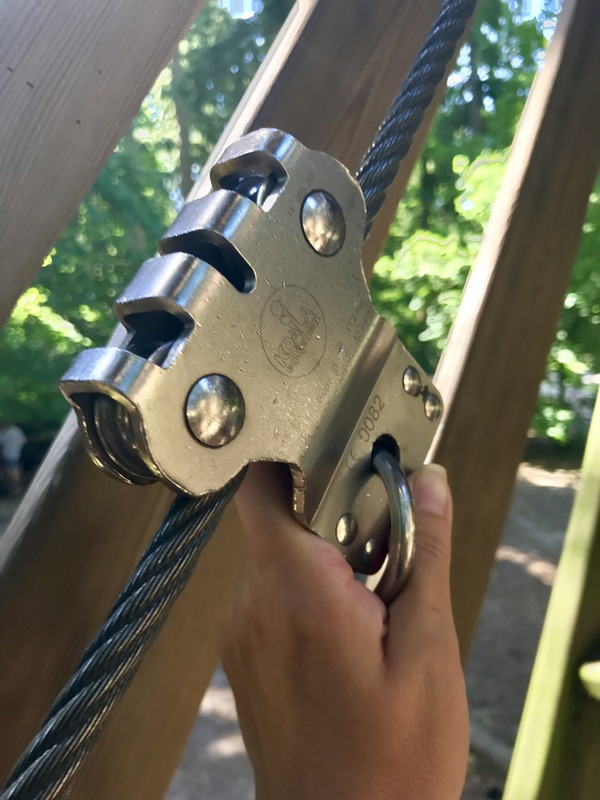 Some leave you swinging back and forth in a way that would do Tarzan proud. Just call me Jane. I’m a notorious wimp, but luckily heights don’t concern me too much, that’s not to say the course didn’t challenge me at times. Having eyed the challenges ahead I’d already spotted my nemesis. A moment to build my courage before charging slowly edging my way across. 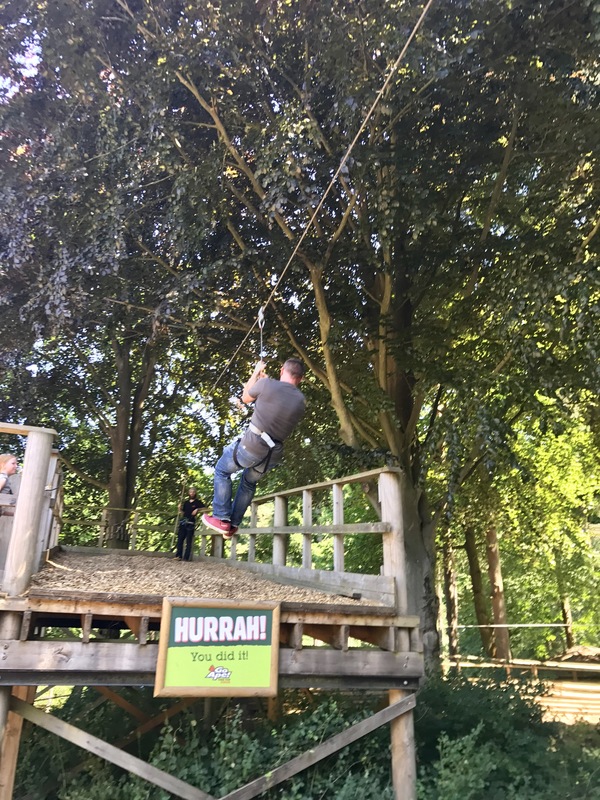 The highlight of the course, for all of us, without doubt – the zip wire. 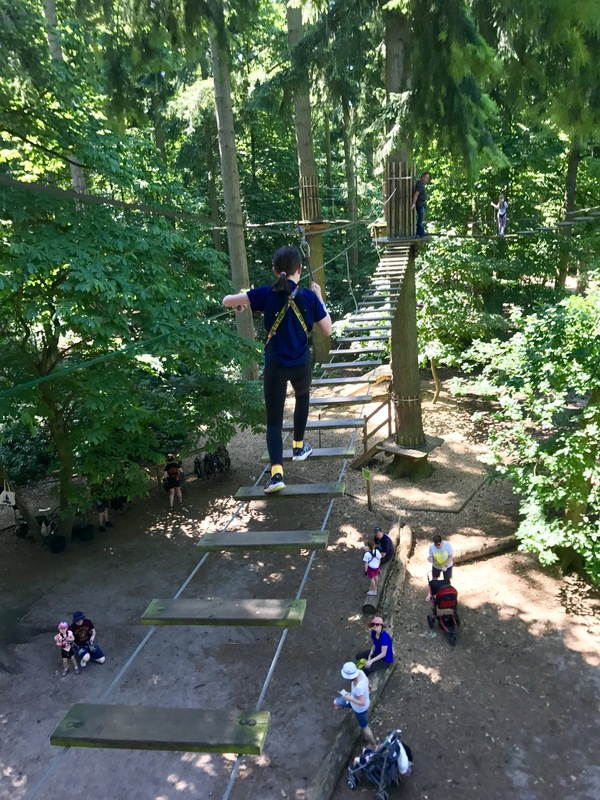 I absolutely love zip wires. My first experience of one was whizzing through a temple filled, Mexican jungle and I’ve been chasing that high again ever since. 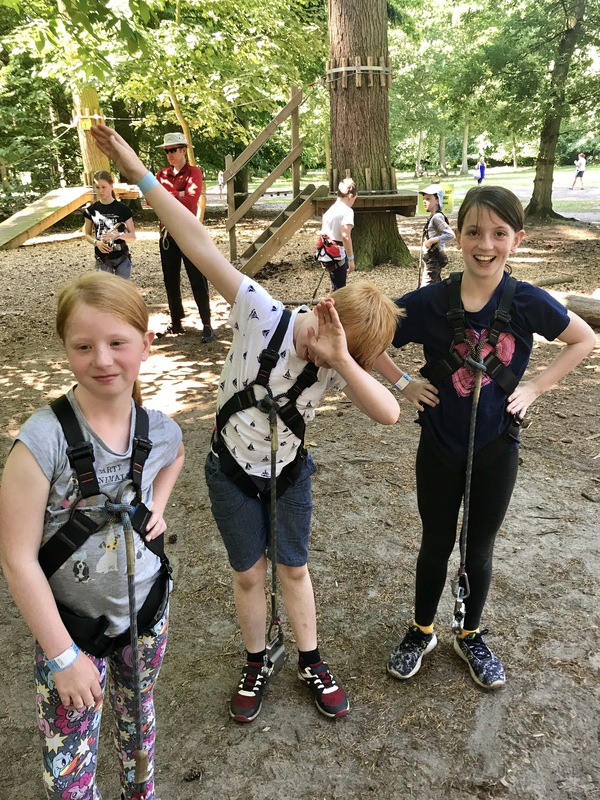 The Junior tree top adventure was certainly a great way for us to have fun together, as a family, in a fabulous forest location. It’s always special making memories through shared family adventures and you really can’t beat watching your children’s confidence and love of adventure grow before you. 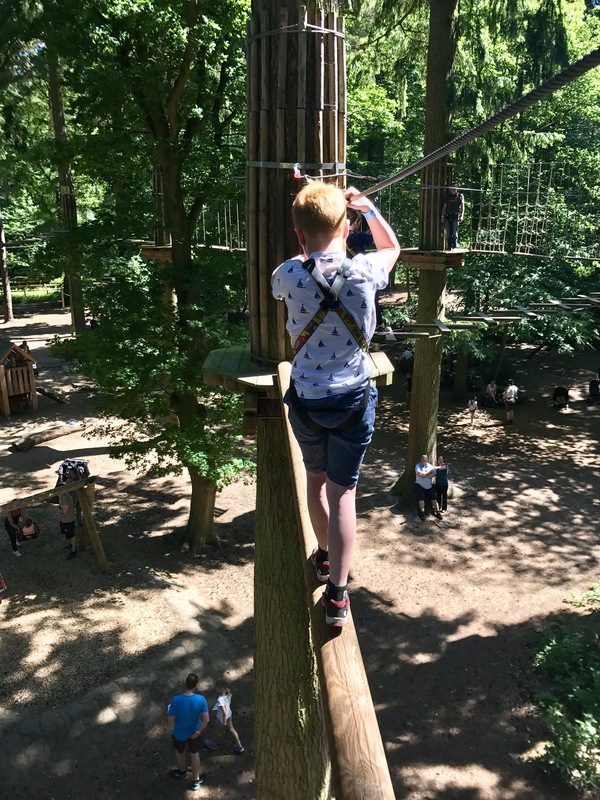 The Junior Tree Top Adventure currently costs £18 per person. 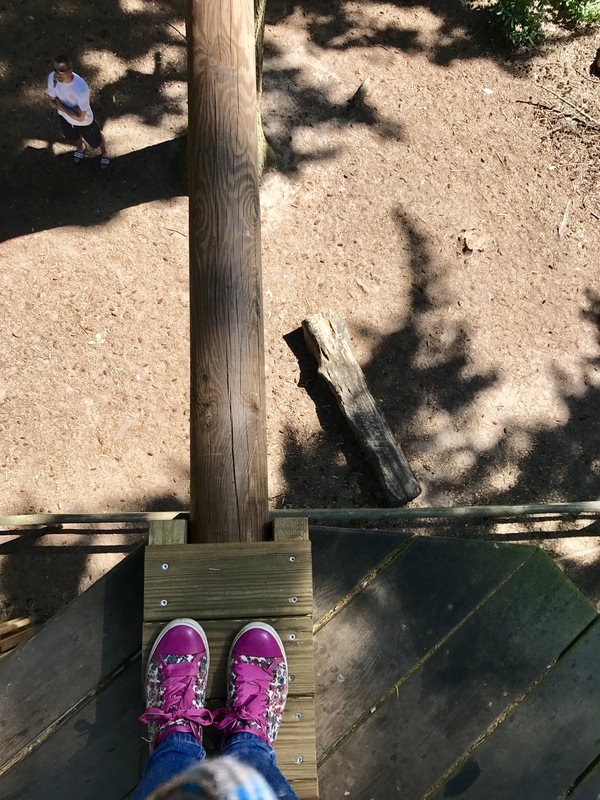 However if you have an avid Junior writer in your family there’s currently a competition for children aged 4-16, with the chance to win their own tree top adventure. Check it out here, but be quick as it closes in a few days. 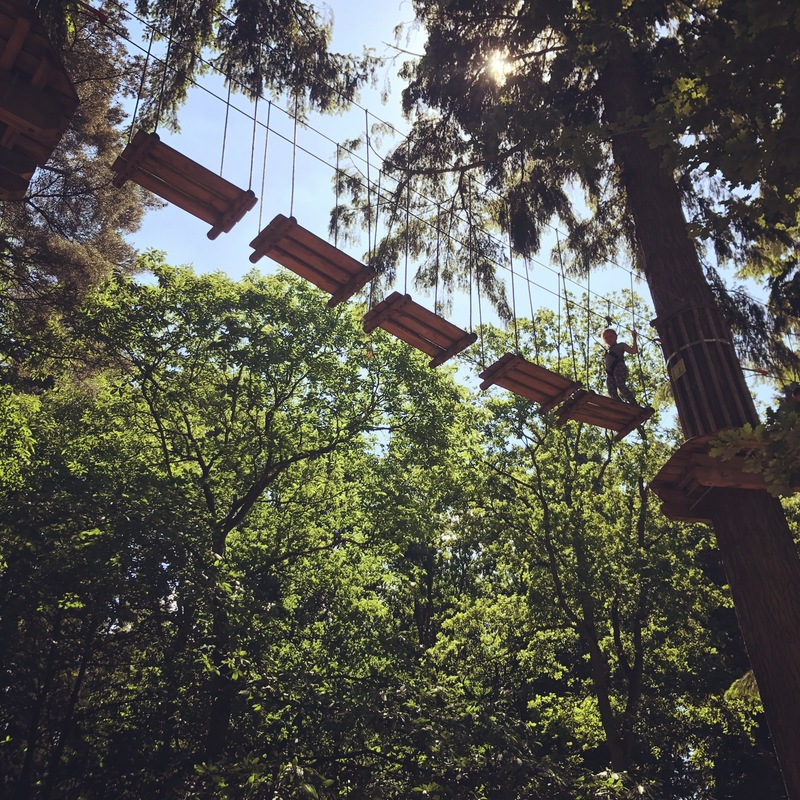 *I was invited to try a Go Ape adventure in exchange for an honest review. As ever all views and opinions are my own. Ha, I’m not entirely sure how I managed to not fall off. 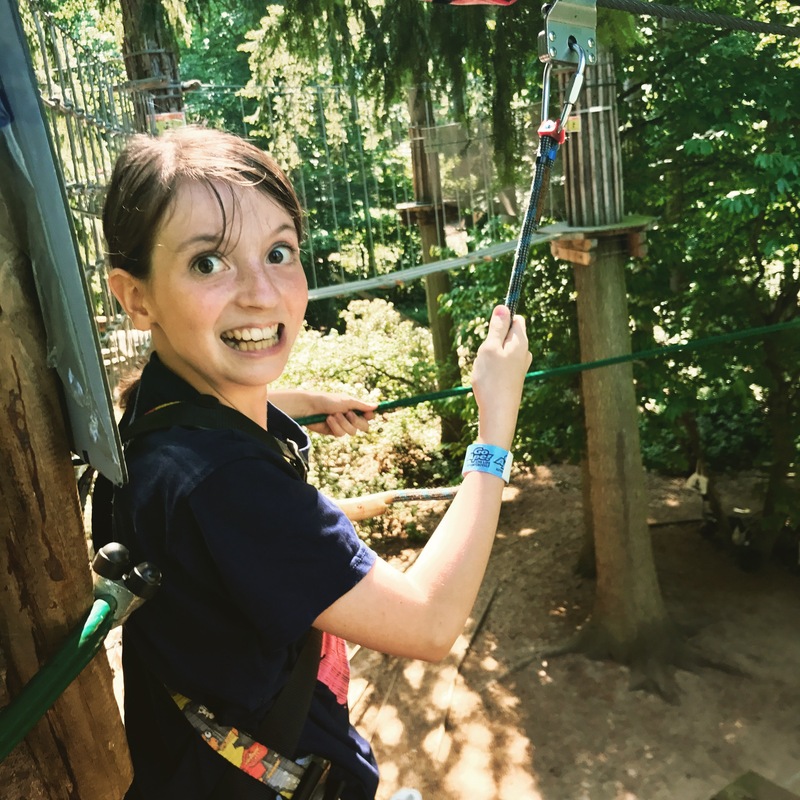 I love Go Ape (and zip wires!) 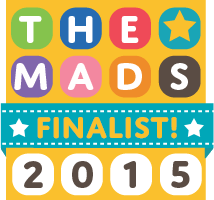 Don’t know how you managed it in the heat though – hats off to you all. I’d be a soggy, sweaty teabag!! 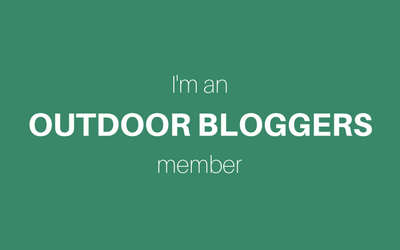 Have you been to the Eden project? The zip wire there looks amazing, still mad I didn’t queue for it. Previous Previous post: The Cambridgeshire Three Peaks.